Located on the edge of greenbelt land in Irlam, the proposals comprise a mix of residential accommodation types as well as start-up commercial space, new sports facilities, a market square, as well as a new community room and pavilion for use by the local and wider communities. 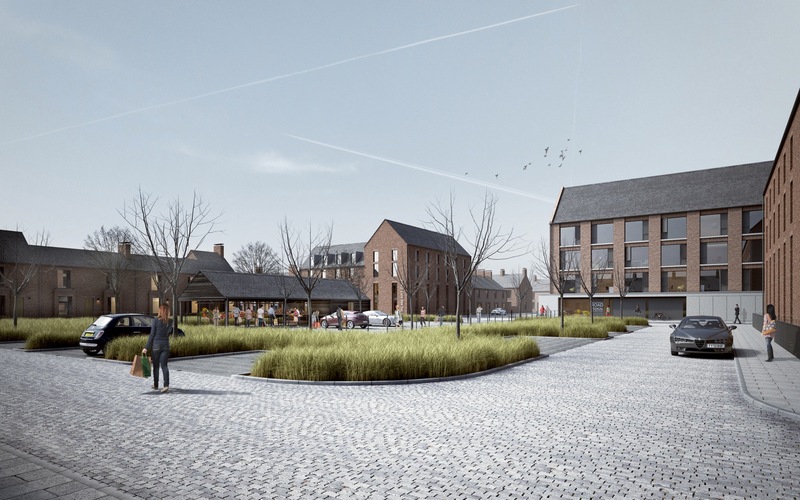 The site was identified for potential development due to its sustainable and well accessed location close to the town centre of Irlam and the mainline railway station providing direct links into central Manchester. It is seen as a viable addition to the area to both revitalise and enhance the local economy and available facilities. 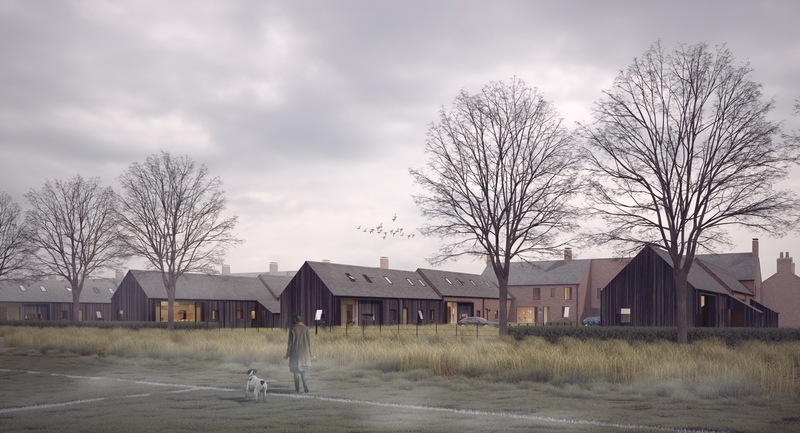 The site is arranged around a green corridor linking a new village green and market square and leading a route into the town centre aiming to discourage car use and reinforce connections with the existing community. Secondary streets permeate the remainder of the plan leading to private parking courtyards to avoid a car dominated street scene. 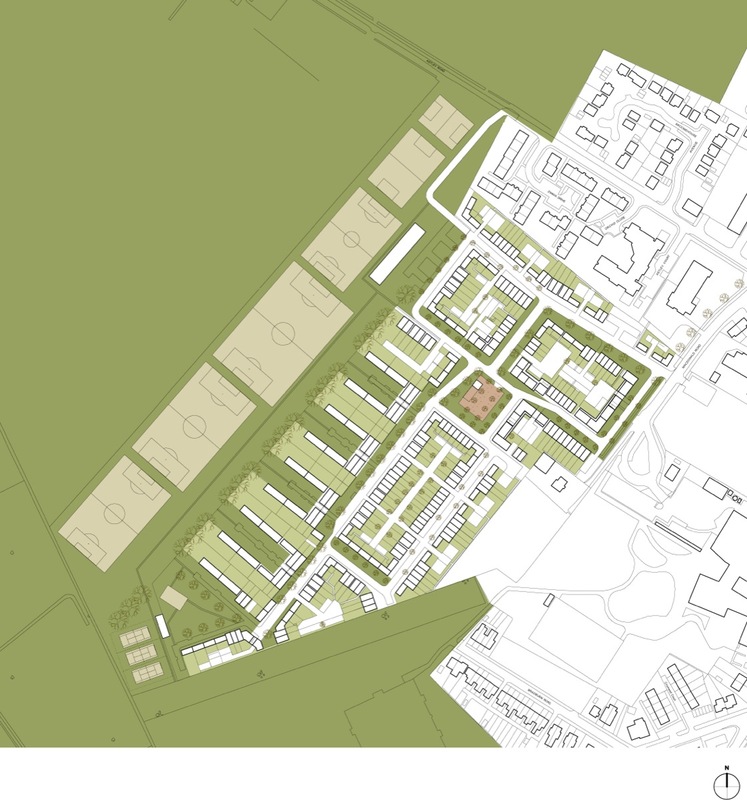 Further visual connections are made across Chat Moss to the west, while a new link is made between the existing secondary school playing fields and new sports provision in the south west corner of the site. 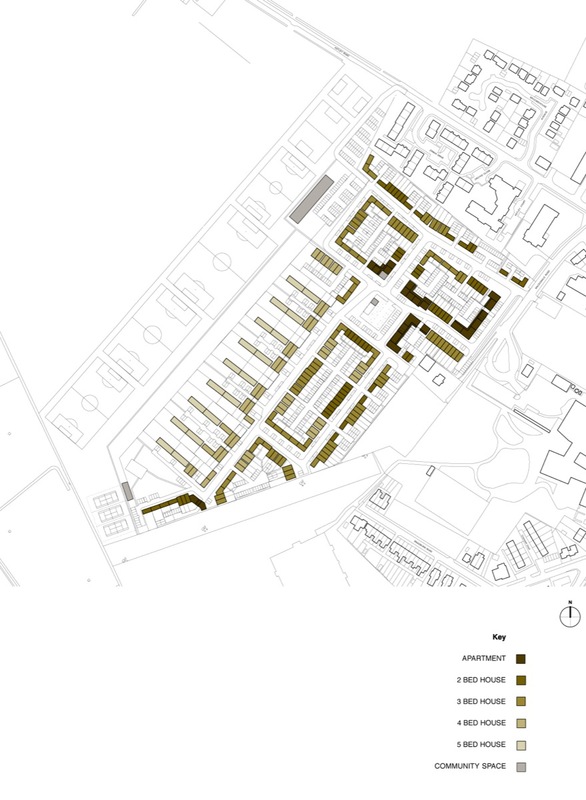 The proposed residential accommodation includes a mix of bespoke house types including apartments, cottages, live-work units, townhouses, manor houses and large barn houses towards the periphery designed to reflect and enhance the character and history of the area, whilst providing a significant number of new homes that will help meet the housing needs of Irlam.